This time it was really difficult to select a wine of the week. Being the dedicated bloggers that we are, we went through many bottles of wine trying to find something to recommend to you. None of them tasted at all good. We even tried a bottle of the Smoking Loon Pinot Noir, and that didn’t make the cut. It was the epitome of bland. 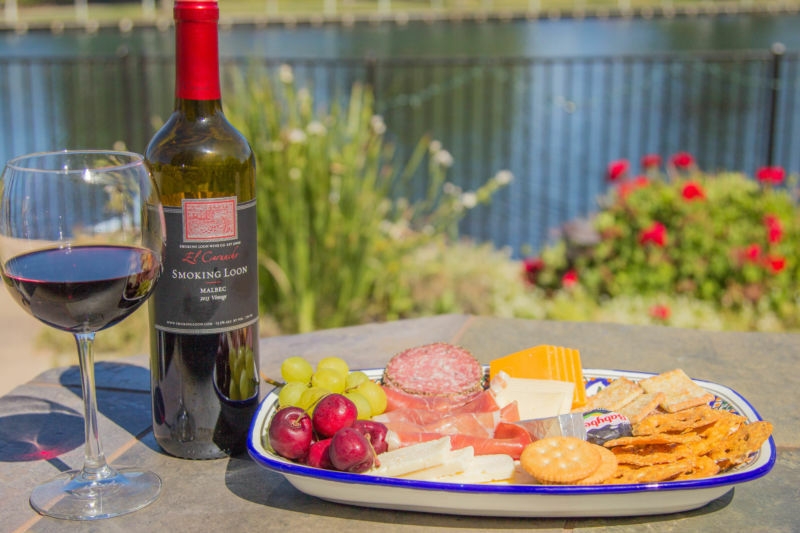 The Brit comments: The Smoking Loon Pinot bore none of the usually distinct characteristics of Pinot Noir, nor did it have anything to distinguish itself. Panilonco, a Merlot/Malbec blend from Trader Joes ($4.99) was a close call. It was a pleasant enough sip when first on the palate, but I didn’t like the rough finish. 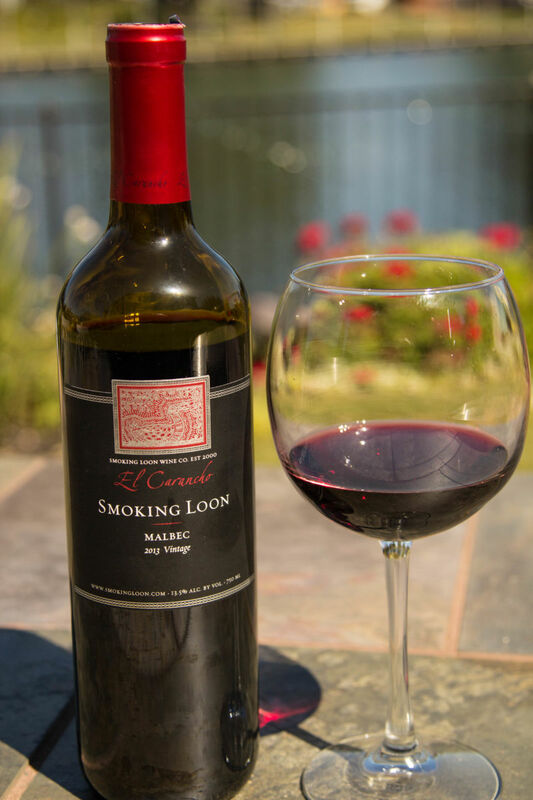 Finally, I opened a bottle of the Smoking Loon Malbec 2013. It normally retails for $8.99 at Safeway, but was on sale for $4.97. After being underwhelmed by the Pinot Noir, I steeled myself for disappointment. But, I was very happily surprised. This doesn’t taste like your typical Malbec. It has a light/medium body with a decent amount of acidity. It has no spice on the finish at all and it isn’t particularly fruit forward, but I was left with a pleasant taste of plums in my mouth. There were very soft tannins in the finish. As the bottle opened up, I got a lot more on the nose and on the palate. It mellowed and grew richer in flavor. The Brit comments: This is not a Malbec that I would recommened if you wanted to explore the attributes that make Malbec such an interesting variety. However, it was immediately drinkable and, as California Girl observed, it opened up somewhat after the first hour to become thoroughly enjoyable. For the price, I thought this was a really great bottle. I would have no problem serving this to a crowd of friends. It’s a very easy and well rounded sip. If you are looking to pair it with food, I would suggest something a bit less hearty.We drank it with our 4th of July BBQ hamburgers. It is just that kind of easy going wine. The Brit comments: Given that most of the wine that we drink is American, there is some irony that our 4th of July wine was not from the US, but made in Chile. We have purchased the entire line of Smoking Loon wines from our local Safeway and are working our way through testing them all. Both of the Chardonnay were hits, especially the Steelbird (as can be seen in our post about it here), whilst the Viognier didn’t at all make the cut. We are suggesting you pass on the Merlot as well – that was nearly unpleasant. Smoking Loon is sold pretty much everywhere. I even purchased some when I was in North Carolina in a tiny little rural local market. Get some and enjoy! Cheers!